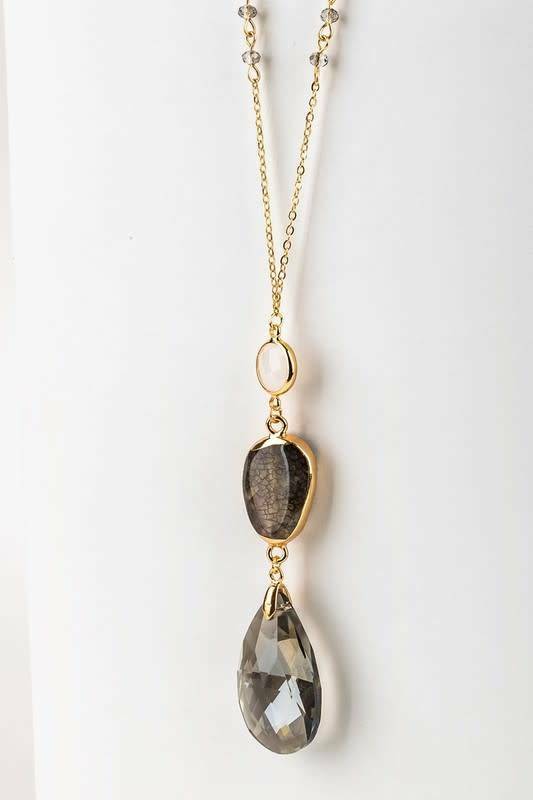 Obsessing over all the details on this drop tiered necklace. 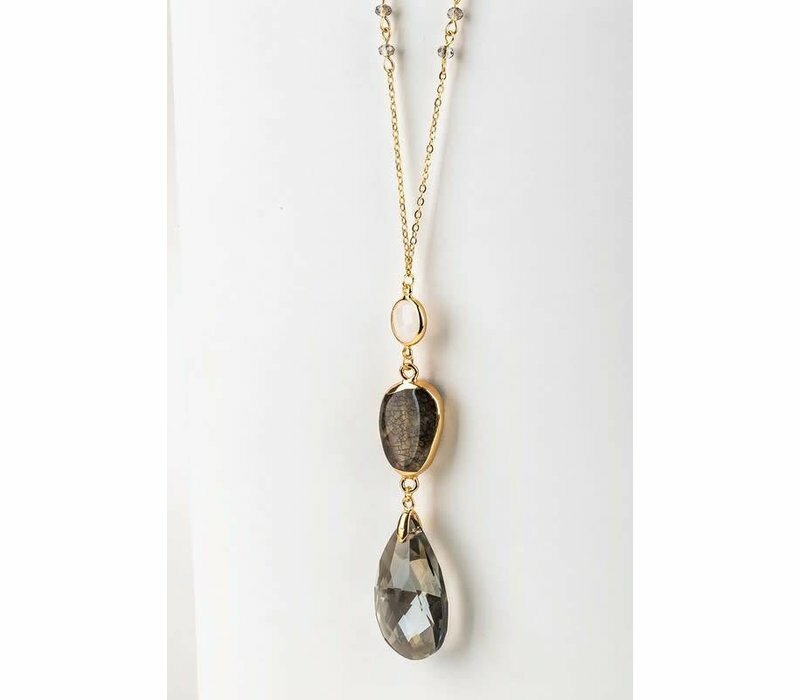 Crystal beaded chain, natural stone casting and tear drop pendant. Approx 32" with 3" extender.